Hi all – I have been cruising a lot of different forums lately and one thing I see frequently is people having trouble customizing the VMware ESXi 5.5 U2 image to support the Lenovo TS140’s integrated I217-LM ethernet controller. I used VMware Customizer available from http://www.v-front.de/ and created an ISO based on the 2014-09-09 5.5.0U2 build. Everything else is vanilla in this ISO – I have another image I’ve created with the LSI 9260 SMIS provider included but I don’t think there will be many people looking for that specifically. But, if you are, let me know. Burn it to a CD/DVD/USB/whatever, and enjoy! VMWare ESXi 6.0 on computer LENOVO TS140 is installed without any problem, no need customization, but without RAID disk. If you enable the RAID option bios and configure the disks RAID 0 or 1, ESXI removes the disk array and fix it degrades. TS130(that’s what I got) and onward are fully supported in ESXi 6.0. I downloaded the custom Lenovo ISO from VMware. Recognised everything first shot with no errors. The only downside as others have mentioned here is that the Health Status only shows the CPU and nothing else. It’s booting to a 4Gb USB and can see my SATA HDD. I’m not using the on board RAID however. I’ve set the SATA mode to IDE so I can pass through anything on the DVD drive to a VM if needed. Obviously if you’re going to use the on board RAID, this needs to be set up as RAID in the BIOS. Unfortunately you cannot use the on board RAID as its software emulated RAID. But yes, ESXi 6.0 has the necessary NIC driver for the Intel on board NIC. Do you have a link to where you downloaded the custom Lenovo ISO from VMware? It is on the VMware ESXi page on the last tab in the downloads area. I have found that you don’t even need the customised image and as long as it’s v6 it’ll work. That’s the one. Again, the non-customised ISO will work. You don’t need the customised one. Been looking a long time for a .iso for 5.5.0U2 to install. VMWare appears to only supply 5.5.0. Is there any way you can share the iso? I have been scouring VMWare for awhile looking for ESXi 5.5.0U2 iso. I am only able to find 5.5.0. Was going to manually do the TS140 net-1000e install using the customizer but I don’t want to use outdated non-U2. 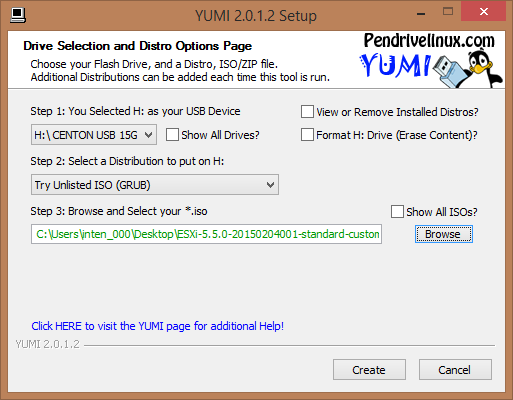 Any way you can share the ISO you have compiled? How can i get the iso file? Hi..How can i get the iso file? I would kindly ask for the image too. I have a Lenovo TS440, I added my own LSI 9260-8i card (took out the supplied 9240-8i aka raid500) and I am making a raid 10 array with 4 seagate constellation es.3 2tb drives with 128mb cache each. ESXI does not recognize the onboard intel NIC card. I am going to add the Intel I350-T4 pci-e NIC card in the 2nd PCI-e slot. I would really, I mean really appreciate the image. Thanks you for the informative article. Do you confirm that with this RAID controller I can install ESXI 6.7 on my Lenovo Think Server TS140? Would you forward me that iso image. Do you have an image for TS140 ESXi 6? Could I please have the ISO. Having a hard time finding the right drivers to use with the customizer. So after seeing what was going on I’ll append a how to guide here in the comments. Feel free if you add it to your article. Thanks to you guys I get to use my new TS140. Didn’t get the help I needed from lenovo but I got it here. Still haven’t got my ESXI 5.5 to work as yet but I am getting the help in this forum. I couldn’t get ESXI 5.5 to boot because of network errors so I loaded win2k8 which gave me some headaches. I followed some of the forums and I was able to make the changes and load the drivers needed. I purchase the TS140 for ESXI5.5 because I want to practice my cisco labs. I purchase the labs on ebay with the intentions of plugging it into the server install the network adapter and it should work. Now that I install svr 2008 I don’t know if I am still able to install the HDD with ESXI 5.5 anymore. Can anyone help? I am not a windows admin I am a voice/data network tech so I don’t want to break anything. You’ll be able to over write the drive you have windows 2k8 installed on without a problem. I believe thats the question you’re asking. Can you let me know if the health status shows up normally for you? All I get is Processor and Software components, nothing else. Doesn’t help if something is overheating or there’s a HDD with Smart Errors. Great website. I have the TS440. Same motherboard (well almost exactly the same) as the TS140. Comes with an LSI 9240-8i so no cache, and no BBU. I managed to install LSI drivers and ESXi providers, and managed to get the VMware guest to see the host raid card thanks to your article. The hardware monitoring like I mentioned before leaves a lot to be desired. Since Lenovo got rid of the BMC on the TS140 and TS440, and stuck with just AMT as the BMC, I don’t think it’s possible to get anything other than basic processor information and after installing LSI drivers, the raid status. Do you get important information such as CPU temperature, CPU Fan Speed, etc in your instance of your setup? Yeah I hear you Ali – I too do not get CPU temperature or fan speed or anything from within ESXi. I also have SNMP enabled on my ESXi installation and run Observium on my network. I do not get CPU, fan, or anything to that regard in Observium either. I just loaded up AMT after replacing my CPU and the CPU stats haven’t refreshed either. I will admit with you these aspects leave a little desired, but hey, it is entry level. I would think the AMT web ui would show us this information, though. Hi Jon, please, can you help me?, i can’t install ESX 5.5U2 with raid 1 in TS140. You can explain me how? I can with Nic, but no with RAID1. Appears 2 diferent storages. 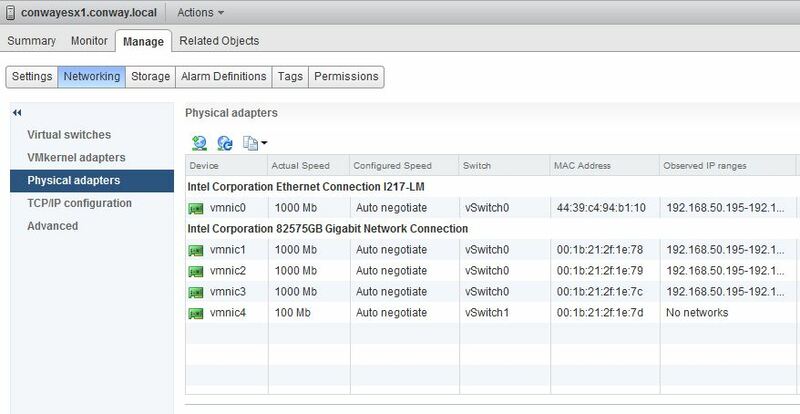 Same issue I had – ESXi does not play nicely or recognize software-based RAID controllers. Your options, really, are to install on singular disks. What I would recommend if you are trying to save money but do want some fault tolerance is this: Install on a single drive. Put the two drives in as singular drives no mirror. Install your OS in a VM. Add two hard drives but put them on the separate drives. In Windows, you can make a software RAID from within the OS – you could then mirror the two virtual HD’s from there. Overhead, and its not as nice as hardware RAID, and your ESXi installation isn’t redundant, but that’s not a big deal IMHO. Otherwise you will have to purchase a hardware controller. Thanks for response. This server is for a small business, i need mirror in ESXi installation because if a disk breaks, the company stops. Really, mirror only for S.O. and not for complete ESXi installation, is practically the same. I try to buy a Hardware RAID. I understand – because its for business I cannot blame you for wanting to have some redundancy in the OS installation. Have you considered installing to a USB key and making a copy of that key? Should the original key fail the client/business can insert the backup key and boot the system. Did you try using the TS140’s onboard RAID capability prior to installing esx? I injected both the LAN and RAID drivers, but the install saw the hard drives separately, not as a mirror (as I had configured them prior to installation). If you did try, could you link to the storage provider that you used? Yes, i try to create RAID before install ESXi. Apparently, mirroring is ok, and if i can try to install directly Windows2012 Servers, he detect one logical dirve, but in ESXi installation process hard drives appears separately. I try to inject RAID drivers in ESXi image, but does not work. See below – ESXi doesn’t work properly with software RAID (or should I said software RAID doesn’t work properly with ESXi?) – I posted below a quick and dirty way to get mirrored data at the VM level by using the two disks in JBOD and putting a Virtual HD on each disk and mirroring within the OS. just a quick heads-up: The vSphere EULA disallows you to redistribute ESXi, so you are in violation of VMware’s license terms by publicly providing your download of a modified ESXi installation ISO. It is better (and totally legal) to provide instructions instead on how to build customized ISOs on your own. This is why I provided this general guide. Do you have a link to that portion of the EULA? I didn’t see anything when I looked which is why I posted this. Thanks for the heads up! The vSphere EULA is linked on the download page. See 3.1 c). Interesting – thanks! Though it’s confusing because how do Dell/IBM/HP make customized images then? Obviously hardware partners have special agreements with VMware and are not bound to the EULA (= *End User* License Agreement). Well, damnit. Thanks for the heads up. Also like your app you made!